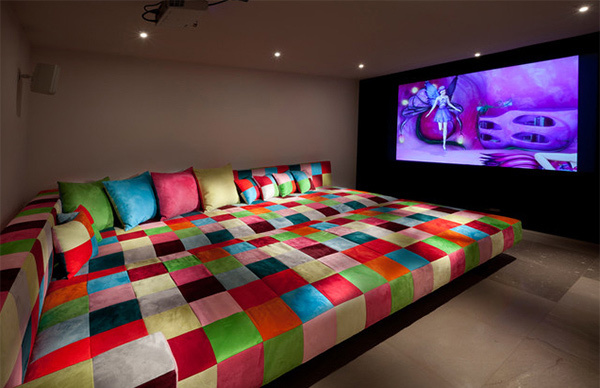 Get a dose of fun and entertainment in your own home by having a media room. A media room has large television in it for better viewing. It also has good sound system as well as comfortable furniture for sitting and lounging while watching movies. 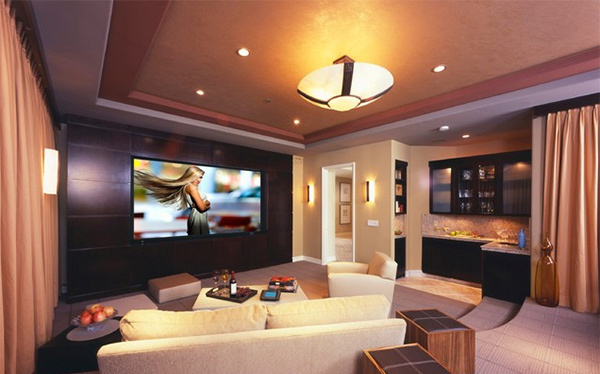 The setting of a media room is like a living area plus the entertainment system. 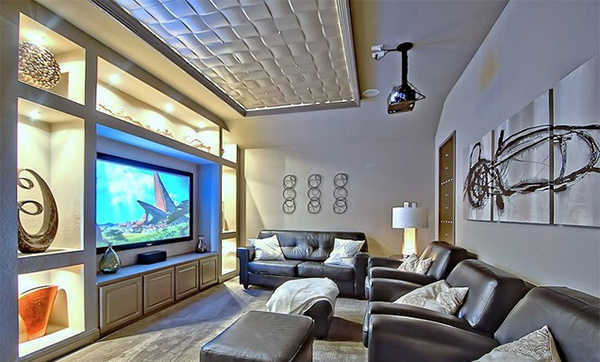 Some homes even have living rooms as their media room at the same time. 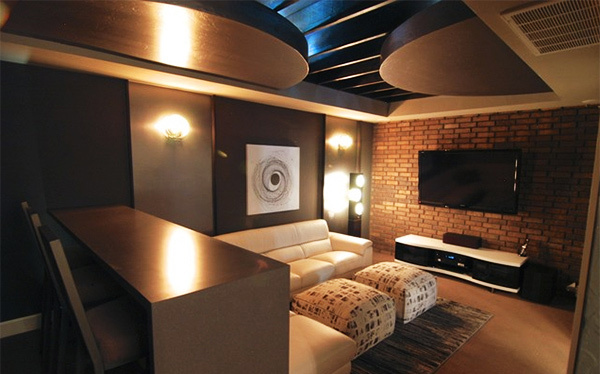 One lovely contemporary media room that has a good distribution of colors from the sofa, carpet and the ottomans. That is indeed a wide screen in a white media room. Even the furniture is white with a wooden center table. That carpet with circles sure made a huge difference to the look of this media room. Aside from that, the ceiling is also a stunning feature! With a media center enclosed in wood, this space is a beauty in white comfy seats and bar stools. 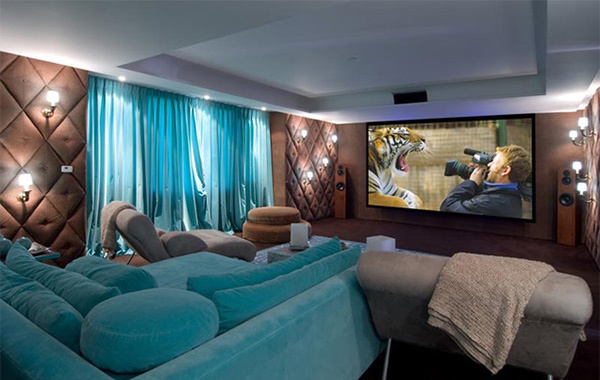 One cool media room in turquoise that matched well with the browns around it. 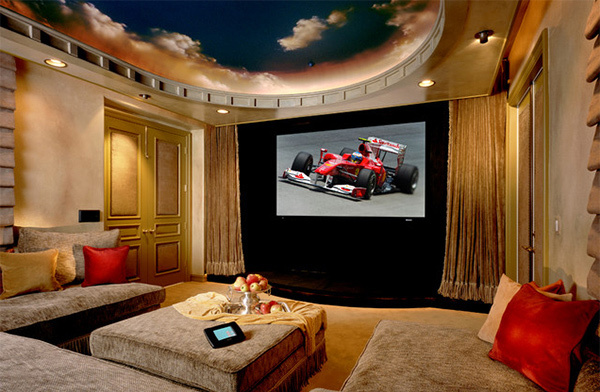 The ceiling has a heavenly mural on it giving you the feeling of being high on Cloud 9 while getting entertainment. 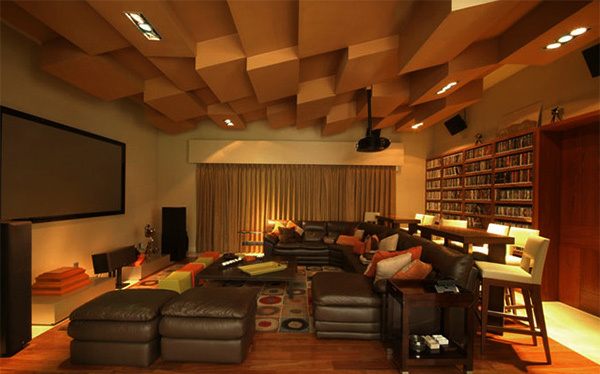 Wooden walls and ceilings were used for this media room. Take a look at the posters at the sides which are valuable notes for a media center. We love that comfy sofa bed with pixel like designs in various colors. The kids will surely have a perfect time here! Doesn’t everyone love a nice clean space in white? 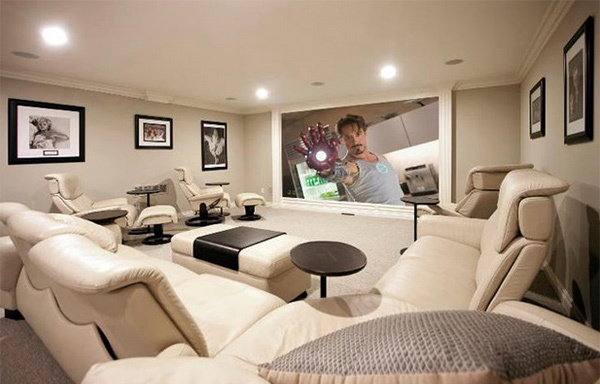 Well, this could be the media room of your dreams! Colors, colors, colors! Get pops of colors here and there from the throw pillows on this light blue sofa. This could be a dark media room but the red sofa bed is a bold addition to this area as well as the striped accent wall. Just a simple space located near the kitchen making it easier to grab any foodie you want to! Don’t you just love that brick wall accent where the television was mounted? We do. But that ceiling is even more stunning. Before you rest your eyes anywhere in this room, take a look at the woven ceiling decor which is one of its lovely highlights! Gray sofa on a gray area rug- if you think putting together two items with the same colors fail, you are wrong. There goes the contemporary media rooms that we have collated for you. 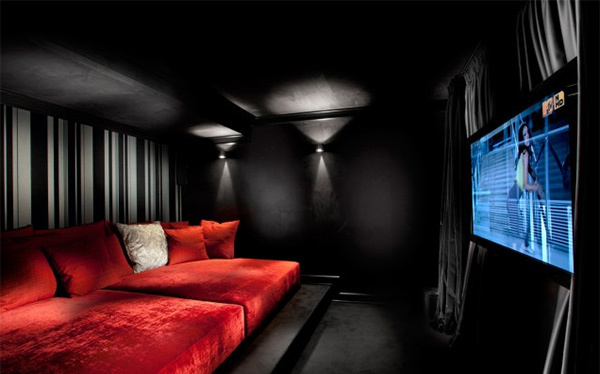 We hope you got some inspiration from the above list so you can create your own media rooms. But it doesn’t mean that you have to copy everything from an interior that you liked. You have to consider your space, needs and your budget too. 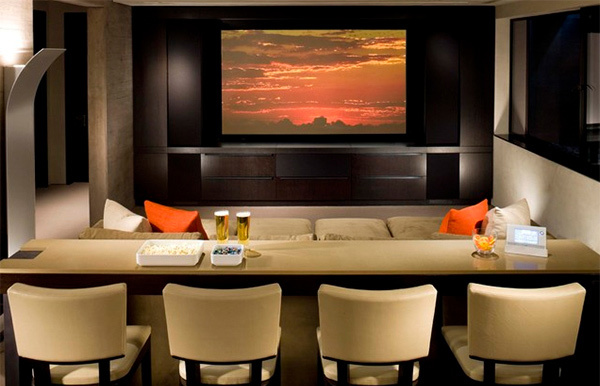 You can also look at some media rooms with bars if you want to get that cinema feel inside your house.